This is the last of my "catch up" posts from my past two weeks of working like crazy. 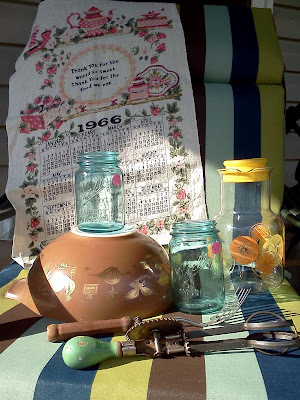 That translates into the random post with the odd single item finds I pulled together during my limited thrifting opportunities here and there. By the way, that towel had been haunting me for 4 months. Isn't that pathetic? Ever since I saw it there, I kept thinking about it. Trying to figure out why it appealed to me. Deciding whether it was worth the $3. I finally caved. Ohhh, and I almost forgot this lil guy. I'm one of your newest followers! 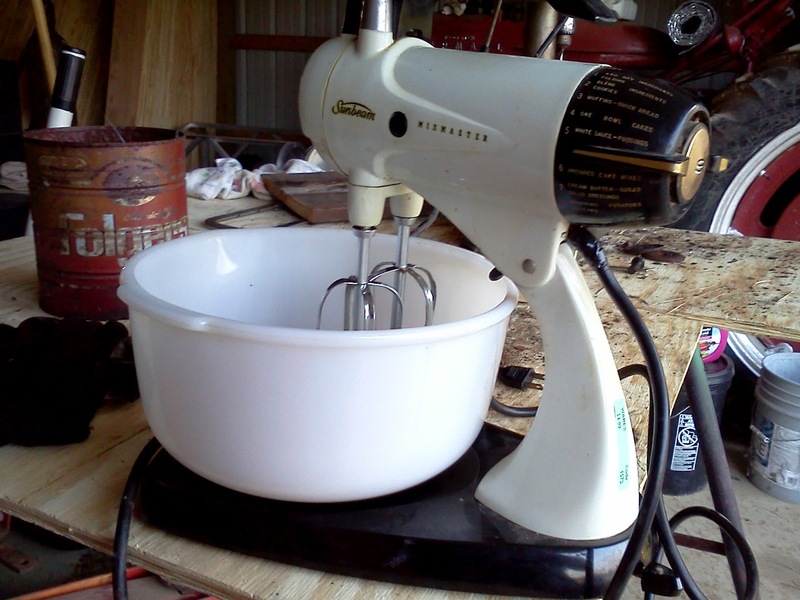 Also, I must add, this is the second vintage mixer I've seen in my blogroll today... making me lust after one!